Wait a second! You can turn driving a VW bus around into a business idea?!? Damn! Why didn't I think of this. I hope these people rock it and make it and have fun doing it. They are long-time VW people, and they are trying to turn that into a dream. Right on. Check them out at http://vantigosf.com/. Thank you Big Blue! 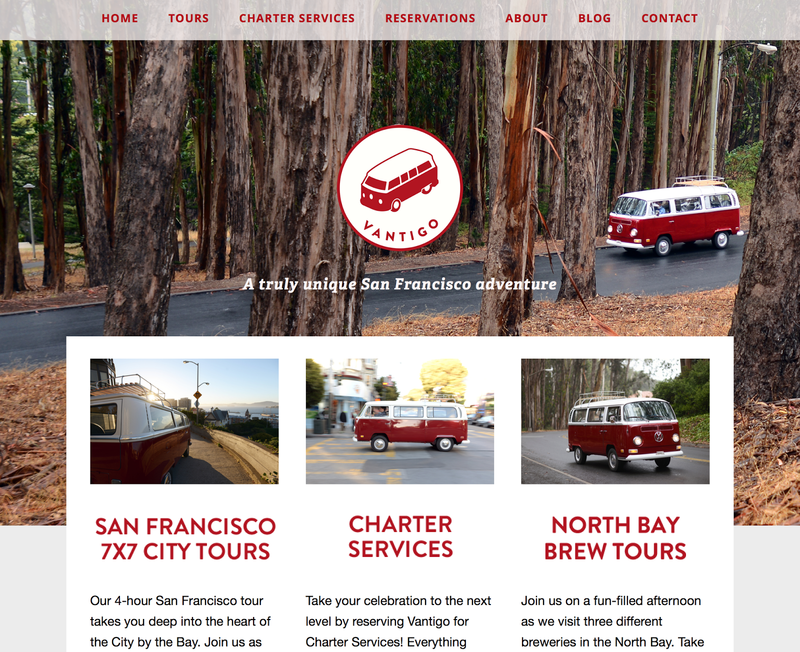 Let us know the next time your in SF so we can take you on a Tour in Lillie (Our Van)! Way cool - good luck to you guys! You guys should come to Burning Van at Ocean Beach in January.